CHICAGO, IL--(Marketwired - Apr 4, 2016) - Fish & Richardson announced today that it won $6,069,266 in attorneys' fees for its client, Chicago Board Options Exchange, Incorporated (CBOE), in the company's multi-year patent dispute with International Securities Exchange, LLC (ISE) (Chicago Bd. Options Exchange, Inc. v. International Securities Exchange, LLC). The over $6 million dollar award is the fourth largest attorneys' fees award in the past 15 years. CBOE was awarded attorneys' fees in December 2014 under the exceptional case doctrine that the company did not infringe a patent ISE believed to be fundamental. The ruling came after eight years of fierce litigation that included two district court cases, two Federal Circuit appeals, and ISE's request for over $1 billion in damages. The Fish trial team representing CBOE included principal Michael Zoppo, of counsels David Francescani and Jonathan Marshall, and associates Brian Doyle, Leah Edelman, and Jeffrey Mok. "We are thrilled to have helped CBOE recover the resources that were wasted defending ISE's baseless charge of infringement. We applaud the CBOE in-house team not only for its courage in the face of an over billion dollar demand, but also for its strategic partnership in achieving this result," said Michael Zoppo, a principal at Fish & Richardson who served as counsel for CBOE. The case dates back to November 2006 when ISE sued CBOE in the U.S. District Court for the Southern District of New York alleging that CBOE infringed its '707 patent on an automated exchange. ISE had sought over $1 billion in damages. CBOE operates the Hybrid Trading System, which integrates manual open outcry and electronic trading into a single exchange. Fish got the case transferred to the Illinois District Court and obtained summary judgment of non-infringement in March 2011. On appeal, the Federal Circuit ruled in May 2012 that ISE's '707 patent disavowed open outcry and partially automated exchanges. ISE kept litigating the case on remand, but did not address the issue of disavowal, which allowed Fish to use a series of pre-trial motions to preclude ISE's entire theory of infringement. This led to ISE's March 2013 consent judgment of non-infringement in favor of CBOE. ISE appealed again -- attempting to change the Federal Circuit's first ruling -- and, on April 7, 2014, the Federal Circuit affirmed its prior ruling on disavowal and found that CBOE does not infringe ISE's '707 patent. In explaining the amount of attorneys' fees awarded, Judge Lefkow wrote that "the court finds these fees to be reasonable" since "CBOE's extralegal efforts include all those subsequent to the Federal Circuit's May 2012 opinion." She added that, "Had ISE not pursued its infringement claims following the Federal Circuit's May 2012 opinion...CBOE would not have incurred any of those expenses." "One of the takeaways from this case is that patentees have to closely re-evaluate their cases after the Federal Circuit speaks to the proper interpretation of their claims," added Zoppo. "Patentees can find themselves on the hook for all post-appeal litigation expense incurred by the other party if the court concludes that their case became 'exceptional' after the Federal Circuit spoke." Fish & Richardson won $6,069,266 in attorneys’ fees for its client, Chicago Board Options Exchange, Incorporated. (CBOE), in a multi-year patent dispute with International Securities Exchange, LLC. The over $6 million dollar award is the fourth largest attorneys’ fees award in the past 15 years. 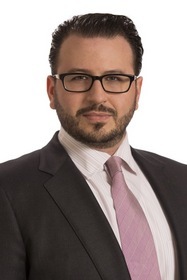 Michael Zoppo (pictured above) is a principal at Fish & Richardson and served as counsel for CBOE.